As we celebrate the 106th annual International Women’s Day on Saturday, March 8th, it is an occasion to thank women everywhere who trust us to protect their devices with avast! Antivirus products. To acknowledge women's contributions to information technology, we took a closer look this week at women's role in the IT industry, and had a few chats with AVAST female employees to talk about women in technology, careers, daily challenges, and who inspires us. Because it is fun! We all take "Selfie" photos! Ducky lips, smiley faces, cool poses: We just love Selfies! Now you can have fun with your girlfriends and win our cute avast! teddy bears or free licenses for avast! Internet Security. 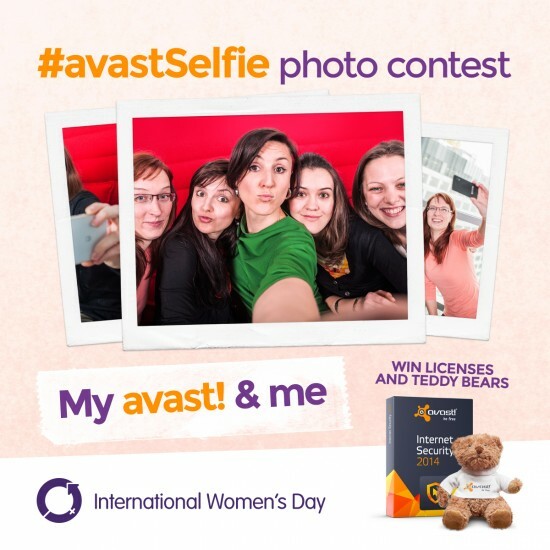 Tag your photo #avastSelfie and you could win! 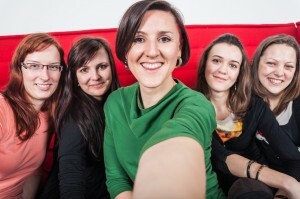 Snap an "avastSelfie" of yourself (or Gentlemen - take a Selfie with your female friend, sister, daughter, wife, or girlfriend) together with an avast! Antivirus protected device, tag it #avastSelfie, upload it on our Facebook contest app, on Twitter or Instagram! Smile for the camera and show us which device is protected by avast! 2. Submit your best "avastSelfie"
The #avastSelfie photo contest begins on Saturday, March 8 and ends Friday, March 14. Eight (8) free licenses for avast! Internet Security will be given to those Selfies with the most votes, and eight (8) avast! teddy bears will be given to our favorites. Have fun, and happy International Women's Day!